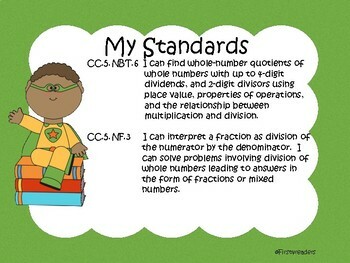 Are you looking for a child friendly way to show your children what they are learning in math? 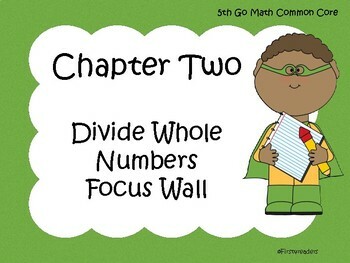 This focus wall is for Chapter Two for the Common Core Go Math Fifth Grade created with students in mind. 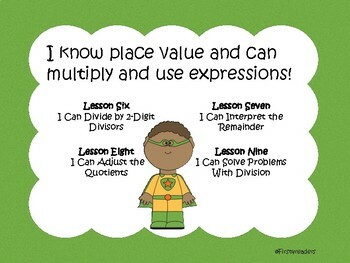 Each packet includes the name of the chapter, the lessons, the standards, essential questions, vocabulary, and sample problems. 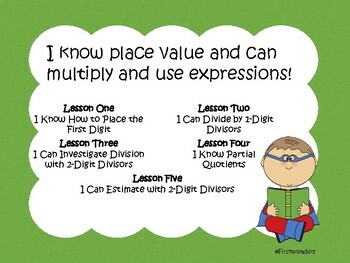 So if you need to post these in your classroom, here is a time saving and simple way to display what your children are learning.